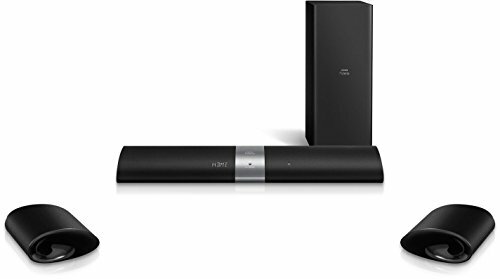 The Philips Fidelio B5 sound bar creates surround sound using wireless detachable rear speakers and subwoofer. Audiophile drivers and spatial calibration ensures dynamic, balanced sound. Rears become independent speakers for music anywhere.